Essentially there are only 5 basic mechanisms of action or sites where the antibiotic works, either in the bacterium’s cytoplasm, on its chromosome, at its cell membrane, on its ribosome or at its cell wall. The flagella and plasmid have no role in antibiotic mechanisms of action. 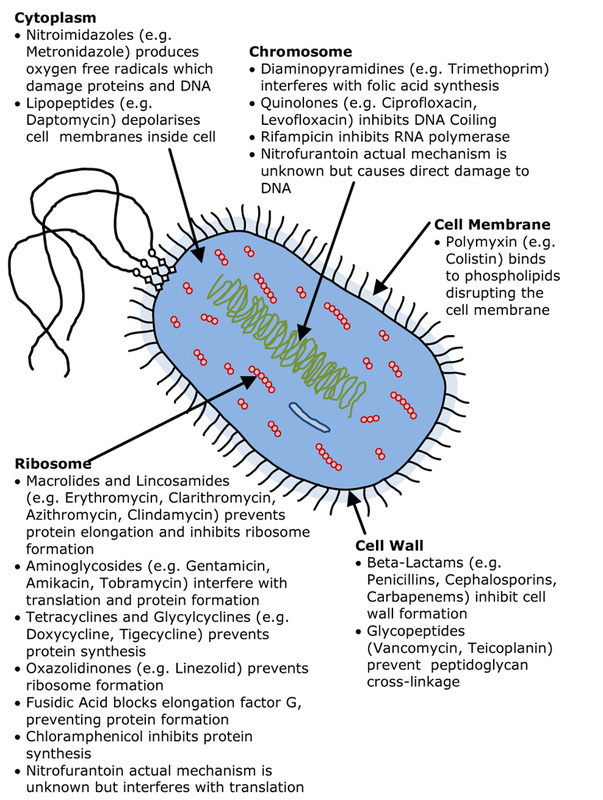 Learn more about antibiotic resistance here including the 4 mechanisms of resistance.